Coast Walks Near Longlands - Luxury Glamping in North Devon! Longlands overlooks the spectacular North Devon coast, a designated Area of Outstanding Natural Beauty, and is just twenty minutes from the best beach in Britain, as voted by TripAdvisor travelers. 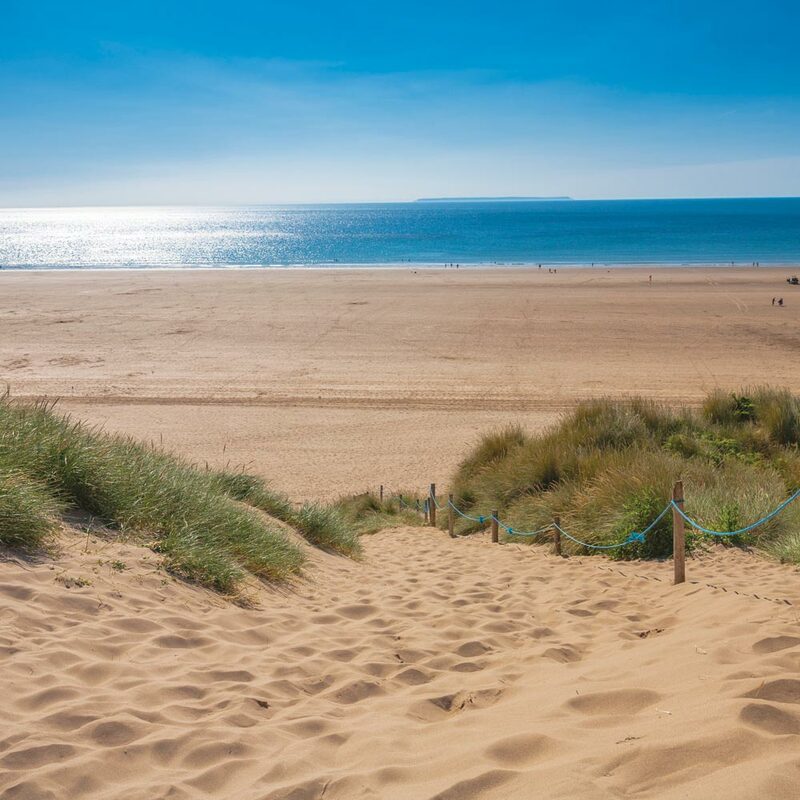 With three and a half miles of golden sands it is always possible to find a spot to yourself on Woolacombe! Longlands is just 4 miles inland from the coast and the pretty picturesque village of Combe Martin. The bay is the perfect place to kayak from and explore the North Devon Coast from the sea. There are miles of coastal walks to be enjoyed, 120 miles if you start at Minehead on the far east of Exmoor and end at Northcott Mouth on the Devon/Cornwall border! We have many suggestions for shorter ones taking in some of the most spectacular scenery including the views from the highest sea cliffs in mainland UK at Valley of the Rocks and Woody Bay.